Southern Diversion is located directly in the Village of Islamorada in the Florida Keys and walking distance to all the major restaurants and shopping. This is an exclusive oceanfront private gated estate home with 200 feet of oceanfront on two acres. This property also features 200 feet of dock, Boat lift, Tiki hut on private beach, Heated pool and Wireless remote Internet. Southern Diversion has just been completely renovated. Brand new kitchen including granite counter tops, new kitchen cabinets ,fixtures and more. Bathrooms have all been updated and brand new flat screens have been added to every room. Islamorada is located one hour and 1/2 south of South Beach and two hours north of Key West. 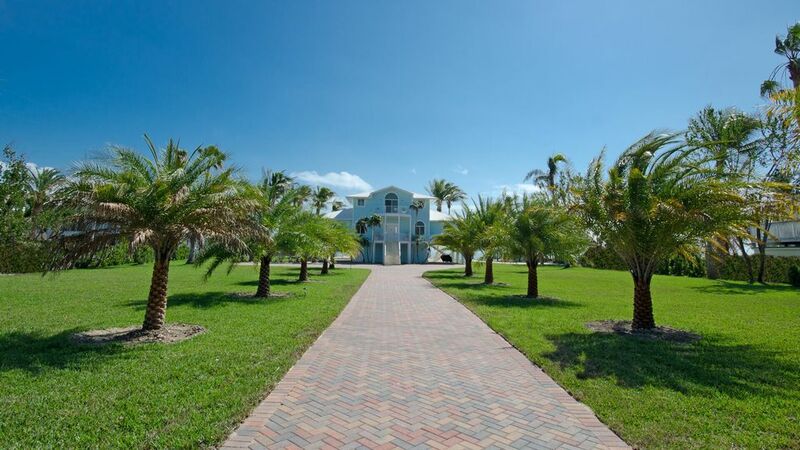 This spectacular oceanfront estate features 5 bedrooms, 3.5 baths. Bedroom One: king bed, Bedroom Two: 1King bed , Bedroom Three: 1 King bed, Bedroom Four: 1 bunk-bed with a pull-out trundle and 2 twin beds, Bedroom 5: 2 sets of bunk beds with trundle. Brand new flat screens in every room.We provide a full time property manager available 24/7 for anything our guests may need. We also have a concierge service available that can provide chefs,nanny’s butlers,massage ect. Southern Diversion offers the perfect escape and tropical dream vacation. Islamorada The Sport Fishing Capital of the World hosts an array of activities from relaxing on our private beach to world class scuba diving. From our private beach you can go catch fresh Florida lobster, Go shelling, Reef snorkeling off Cheeca Rock Reef, See live coral reefs and catch Bonefish. Southern Diversion is located directly in the Village of Islamorada (Mile Marker 82) which means you are within 5 minutes of the best cuisine Islamorada has to offer. Robbie's of Islamorada (5 min car ride) offers many different marine activities including boat rentals, jet skiing, kayak's and a delicious restaurant. Don't forget to visit Scarface in the Tarpon Feeding area. Also at Robbie's they will cook your fresh catch at the Hungry Tarpon Restaurant. If you are in the mood for a nice stroll, Bentleys Restaurant is right outside our gate or you can walk to Morada Bay where you can enjoy a relaxed beach atmosphere. This is an exclusive oceanfront private gated estate home with 200 feet of oceanfront on two acres. This property also features 200 feet of dock, Boat lift, Tiki hut on private beach, Heated pool and Wireless remote Internet. Islamorada is located one hour south of South Beach and two hours north of Key West. WOW! This was beyond words the perfect site for my daughter's wedding. We enjoyed the week leading up to the ceremony, but the transformation the day of the wedding was just phenomenal. Joe, the property manager, went above and beyond to help make sure everything went smoothly. I cannot say enough about what a wonderful house and setting this is :)! Thanks Joe and Kevin! Shared the week with family and was everything we hoped for! On the beach with a great pool, beautiful landscaping and a well appointed house for our group of 9. Can’t wait to return. Our family recently stayed for a week in June and loved every minute. The home was great and Joe, the property manager was wonderful. The house is in the perfect location being close to restaurants and activities. We also loved the dock and rented a boat for fishing and snorkeling. Great trip and hope to be back again!